Even with my skeptical eye, I can notice a visible difference in the plumpness and smoothness of my lips! The product doesn’t feel like anything else I’ve used on my lips — it has a silky consistency and is quickly absorbed into the lips, so you’re not left with oil or clumpy residue. This makes it a great base under lipsticks and glosses. 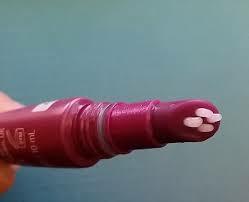 I have been using it a couple of times during the day, before bed, and definitely before any lipstick application. I’ve said goodbye to that tight, restricted feeling that your lips have when they’re chapped, and have been so surprisingly thrilled with the result that this product gives me! I would recommend this product to anyone struggling with chapped, rough lips, or noticing those vertical lines on the lips that are sure to ruin your new lipstick look. Also, for anyone who wants to see that extra plump in your pout, this is one of the products that actually works! You can read about the ingredients and brief science behind it on Murad’s website, but for $24 it’s a GREAT value! 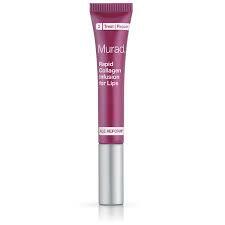 I’m interested in looking further into Murad’s product line after this success. Please leave a comment if you’re a fan of any of their other products that you think I should try! Ooh awesome! I really struggle with chapped lips as well-especially after hitting the slopes! I absolutely love Smith’s Minted Rose Lip Balm…Of course, it’s a pain to put on when you have gloves since it’s a tin, so I will have to check out the Murad balm for sure!